We’re introducing a new series in the run-up to the trade deadline, drawing from our power ranking approach to pending free agents. As the summer trade market develops on a fairly tight timeline, you can expect more regular updates when modifications to the list are warranted. The methodology — if you can call it that — is pretty straightforward. I’ve done some simple ratings of players for their trade value and trade likelihood, giving me a rough guide to work from, then made finer distinctions from there, aided by the input of MLBTR’s Tim Dierkes and Steve Adams. In terms of trade value, we’re starting with overall on-field value — with a premium on an ability to make an impact in the current season — and then adjusting for contract and market factors. With contenders’ needs in relatively sharp focus, limitations such as future contract status, age, and niche role (platoon bats, relief-only pitchers) tend to have less of a drag on value — though obviously they still matter quite a bit. With regard to the second factor, the focus is on potential selling teams’ motivation to deal, with contract status, near and long-term roster fit, and overall competitiveness all weighing heavily. Some teams simply aren’t in a position at present where it makes sense to include their top potential trade chips, but that will evolve over the coming weeks. 1. Jonathan Lucroy, C, Brewers — Lucroy was a fairly easy choice for me here. He’s playing well, the contract has value beyond this year but not within Milwaukee’s expected contention timeline, he’s established but not old, and he plays a position of need around the league. It’s unusual to see major deals involving catchers at the deadline, but that should change this year. 2. Rich Hill, SP, Athletics — It may be too soon to say whether and when the A’s will deal, but things are trending strongly in that direction and Hill is a classic deadline piece as a pure rental whose value is peaking at the right time. He could draw widespread interest, sooner rather than later. Fortunately for Oakland, a recent groin tweak seems unlikely to shelve him. 3. Ryan Braun, OF, Brewers — Braun is mashing at career-best levels in his age-32 season, and now may be the best time for Milwaukee to move on from the four years and $76MM left on his contract after this season. Health is a big question, and Braun’s PED past doesn’t help, but that’s a fairly reasonable rate of pay for a player who could well be the best bat available. 4. Jay Bruce, OF, Reds — Perhaps the single most likely player to be traded in all of baseball, Bruce is posting above-average offensive numbers and would deliver some pop to another lineup. On the other hand, his defensive fall-off has been precipitous. His option for 2017 delivers some upside, in theory, but it comes with a $1MM buyout and he’s no bargain at a $12.5MM annual salary this year. 5. James Shields, SP, Padres — Shields isn’t the pitcher he once was at 34 years of age, but he’s as steady and durable as they come and is getting better results than might be expected. His contract is a bit of a wild card, since it allows him to opt out at the end of the year. Shields is earning $21MM this year on a deal that guarantees him another two years and $44MM thereafter if he chooses to take it. Chatter is already picking up on the veteran. 6. Arodys Vizcaino, RP, Braves — Vizcaino, 25, has been about as dominant as any reliever in baseball. Even if the Braves would like to keep their pen ace around for his three remaining seasons of arbitration eligibility, the Ken Giles deal serves as a reminder of both the value of controllable late-inning arms and their volatility. 7. Chris Carter, 1B, Brewers — He’s a streaky, high-K, low-OBP hitter, and everyone knows it. On the other hand, even after a recent lull, Carter has banged 13 long balls and owns a .500+ slugging percentage through just over 200 plate appearances. Oh, and he’s earning only $2.5MM at 29 years of age, with two more arb-eligible campaigns to come. A return to the American League may be in order. 8. Trevor Plouffe, 3B, Twins — He’s not the most exciting player, but Plouffe is sturdy and useful. It’s not immediately clear whether Minnesota will let him go after foregoing a trade over the winter, and a middling start doesn’t help his value, but it’s probably time for the Twins to get value with one more arb year remaining. Plouffe is playing at a reasonable, but hardly bargain rate of $7.25MM. 9. Julio Teheran, SP, Braves — Just 25 years of age, Teheran is showing signs of returning to being the budding frontline starter that he once was. He’s controllable for a meager commitment, Atlanta has proven willing to trade anyone at any time (well, almost anyone), and the empty cupboard of starters on next year’s free-agent market could increase demand. But GM John Coppolella has significantly raised the bar for a deal of the staff ace, even if he didn’t rule it out entirely. 10. Fernando Abad, RP, Twins — This spot probably could have gone to any number of relievers, several of whom are listed below, but I felt that Abad edged the field with his eye-opening work thus far. He’s allowed just a single earned run on 13 hits and five walks in 19 1/3 innings — while racking up 18 strikeouts and posting a career-best 57.1% groundball rate. Plus, he’s a lefty and he’s been effective against hitters from both sides of the plate this year. Additionally, he’s controllable through the 2017 season. Not Yet Eligible: At this stage, there are some teams that are beginning to look like plausible sellers that I’m not quite comfortable considering for these purposes. In some cases, that’s because of unexpectedly solid performances; in others, it’s because expectations were high and the organization is unlikely to act hastily. The Rays are in an interesting spot; they hope to contend despite an uneven start, but could still move major league rotation pieces (Matt Moore; Jake Odorizzi) given the team’s surplus at the position. The Phillies (Jeremy Hellickson; David Hernandez; Jeanmar Gomez) are still too much in the hunt to go in the sell category, though they could end up there soon enough. Likewise, the Astros have shown signs of life and seem a less likely seller than the division-rival A’s, though they have several short-term pieces (Carlos Gomez; Colby Rasmus; Luis Valbuena; Luke Gregerson) that would be interesting if Houston can’t gain traction. We might eventually see the Angels (Huston Street; Joe Smith; Yunel Escobar) as partial sellers, but they’re not likely to throw in the towel — if at all — until the last moment. On the National League side of the west, the Diamondbacks (Brad Ziegler; Daniel Hudson; Tyler Clippard) and Rockies (Carlos Gonzalez; Jake McGee) are still a good ways away from the tipping point. Jose Bautista’s future with the Blue Jays has been up in the air since Spring Training, when reports of an asking price north of $150MM emerged, but the right fielder tells Sports Illustrated’s Tom Verducci that his preference is to remain in Toronto. “I love the city. I’d be stupid to leave,” said Bautista. While that comment will garner plenty of attention, it’s hardly uncommon for stars to voice a preference to remain with the club with which they’ve broken out. Bautista implied that the ball is in the court of first-year president of baseball operations Mark Shapiro and first-year GM Ross Atkins. “I will explore every single option, whether it happens or not with the new regime, to continue to try to stay here,” he added. “That being said, I think teams utilize that a lot against players, [seeking] a discount or bargain price, and I think that’s extremely unfair, especially to have your biggest contributors on the field and try to take advantage of the fact that they like it there and negotiate a tougher deal.” Despite today’s comments, it seems difficult to envision Bautista significantly dropping his asking price — especially when he’s again on pace to top 30 homers. Joel Sherman of the New York Post points out that if the Yankees want to option right-hander Michael Pineda to the minors in an effort to get the struggling 26-year-old back on track, their window to do so is closing. Pineda, Sherman notes, will reach five full years of MLB service time on June 14, at which point he will have earned the right to refuse a minor league assignment. Cashman tells Sherman that Pineda will make his next start on Thursday (in Detroit), and the club will have further discussions about him following that outing. Pitching coach Larry Rothschild cryptically tells Sherman that he’s aware of what Pineda’s problem is but is electing not to disclose the issue to the media. Blue Jays GM Ross Atkins spoke to reporters tonight about his club’s acquisition of Jason Grilli (video link via Sportsnet.ca). Atkins said that he’s been on the lookout for bullpen help since the day he arrived in Toronto, and Grilli’s penchant for missing bats made him an attractive option. “There’s a lot that we like about Jason and how he complements this team,” said Atkins. “The first thing that comes to mind is experience. 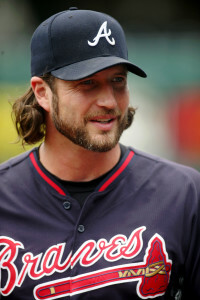 He’s been on winning teams, [in] very high-leverage situations and gets a ton of swing-and-miss — has gotten a lot of swing-and-miss throughout his career.” Atkins expected Grilli to join the club on Wednesday. As Marc Topkin of the Tampa Bay Times tweets, Rays right-hander Brad Boxberger left tonight’s game with a strained muscle in his left side. Following the game, manager Kevin Cash told the media that the injury was “obviously not good,” and Topkin tweets that the sense in the clubhouse is that Boxberger is headed back to the disabled list. Further evaluation will be required tomorrow, he notes, but another absence for the Rays’ presumed 2016 closer appears to be a strong possibility. Over at Baseball America, Ben Badler provides an outstanding preview of the coming July 2 international signing period. Of particular note, Badler reports that the Astros are expected to exceed their spending limits and incur the maximum penalty (a 100% overage tax and two-year ban on $300K+ bonuses). Houston has been making huge outlays through the draft in recent years, but saw its domestic amateur spending capacity plummet after the club’s excellent performance at the major league level one year ago. With that pipeline now constrained, Badler says the ’Stros will blow past their available $2.2MM or so in pool allocation on just one player — Cuban shortstop Anibal Sierra — while likely adding several other pricey youngsters. Badler goes on to detail the latest elsewhere in the market, listing some of the high-dollar prospects attached to the Braves, Padres, Nationals, and Cardinals, which are the other clubs he expects to top their cap this year. He also explains the interesting case of Dominican infielder Freudis Nova, who lost an apparent ~$2.5MM agreement with the Marlins after testing positive for steroid use. He now appears to be up for grabs, with his landing spot and ultimate bonus uncertain. Badler writes that the Padres and Astros make sense as logical possibilities, as each is already expected to shatter their bonus pool, while clubs that are planning to stick within their set limitations have largely allocated most of their funds via verbal agreements already. The Reds, meanwhile, may yet be able to stay within their second-in-the-majors allotment, per Badler. Cincinnati is still expected to give shortstop Alfredo Rodriguez a $7MM bonus, but could still pick up enough slots via trade to keep the total spend within the limits. Sticking with the international free agent scene, MLB.com’s Jesse Sanchez reports that Cuban outfielder Alexei Bell, who has been playing in the Mexican League, has asked for his release from los Tigres de Quintana Roo (Twitter link). Per Sanchez, Bell has been hit on both the hand and the arm and doesn’t want to risk a serious injury. It should be noted, too, that Bell was scuffling at the plate in his limited sample, batting just .171/.310/.314 through 42 plate appearances. The Brewers’ top baseball decision-maker, GM David Stearns, has paid visits to watch high-school pitchers Jason Groome and Riley Pint as well as University of Miami catcher Zack Collins, Eric Longenhagen of Fangraphs reports on Twitter. Longenhagen also adds (Twitter link) that Rockies GM Jeff Bridich recently took a long look at Groome, who was previously favored to go first overall but has slipped in recent mock drafts. Speaking of mock drafts, there are several new ones worth taking a look at for those interested in prognostication. Frankie Piliere of D1Baseball.com still likes the Phillies to grab University of Florida lefty A.J. Puk at 1-1, which is also the prediction of ESPN.com’s Keith Law (Insider link). Law has Kyle Lewis going second to the Reds and Groome heading to the Braves with the third choice. Baseball America’s John Manuel, meanwhile, now thinks the Phils will go for high school outfielder Mickey Moniak, leaving Cincinnati to grab Puk and setting up Atlanta to take Louisville’s Corey Ray. The Dodgers will place left-hander Alex Wood on the 15-day disabled list with soreness in his left elbow and will recall fellow lefty Julio Urias from Triple-A just a few days after optioning him back to the minors, reports Andy McCullough of the Los Angeles Times (via Twitter). McCullough tweets that Wood’s injury is not structural, though he informed the team earlier in the day that he’s has some lingering soreness in his triceps. It’s not entirely certain that Urias will step into the rotation for Wood, McCullough notes. That decision will be impacted by righty Kenta Maeda, who has some swelling in his right hand after being hit by a comeback line drive over the weekend. Giants right-hander Sergio Romo has had a setback in his rehab from a flexor strain in his right elbow, manager Bruce Bochy told reporters (Twitter links via Henry Schulman of the San Francisco Chronicle). Romo has been experiencing tenderness in his right elbow, which prompted the Giants to order an MRI on their longtime late-inning reliever. On the positive side, Schulman notes that the MRI didn’t reveal any structural damage. However, he’ll still be backed off for four to five days, making it unlikely that he’ll be back with the team anytime soon. Twins closer Glen Perkins suffered a setback in his return from a shoulder injury earlier this month, but assistant GM Rob Antony told reporters, including Phil Miller of the Minneapolis Star Tribune (Twitter link), that Perkins’ throwing program since that time has been going well. The Minnesota native and career-long Twin will throw his first mound session since hitting the DL back on April 13 this coming Saturday. He’s pitched in just two games this season — a significant factor the Twins’ season-long bullpen woes. Rustin Dodd of the Kansas City Star writes that Royals left-hander Mike Minor returned to Kansas City today to have his surgically repaired left shoulder checked out by the Major League training staff. Minor, who signed a two-year deal this winter on the heels of the aforementioned surgery, has been dealing with some fatigue in that shoulder. Manager Ned Yost said the team doesn’t consider the injury to be serious at this time and isn’t calling the fatigue a setback, though as Dodd notes, he’s just over a week away from the end of his 30-day rehab window, which comes to a close on June 9. 6:06pm: The Dodgers have now announced that Guerrero has indeed been designated for assignment. 2:44pm: The Dodgers are expected to designate utilityman Alex Guerrero for assignment, according to J.P. Hoornstra of the Los Angeles News Group (via Twitter), though the transaction remains unannounced. Guerrero’s rehab assignment for a knee injury is set to wrap up today, forcing the team to make a decision on his roster status. Los Angeles has long been in a tight spot with the 29-year-old, whose international free agent contract allows him to reject an optional assignment. Plus, if he’s traded, Guerrero would be able to elect free agency in the winter following the deal, which limits his future control rights for potential trade partners. There doesn’t appear to be much of a fit for Guerrero on the present L.A. roster. While he has seen MLB action in the corner outfield and third base, and spent most of his career in Cuba in the middle infield, he’s generally regarded as a subpar fielder. And the Dodgers already have plenty of versatile options settled in at those positions. Guerrero has shown promise at times with the bat, though he faded after a hot start last year and ended up with a .233/.261/.434 slash and 11 home runs in 230 plate appearances. And he hasn’t helped himself with his recent performance. After tearing up the minors in his first trip through the system, Guerrero owns a meager .136/.162/.197 batting line in his 68 plate appearances on his rehab stint this season. With little in the way of future value, not much of a track record, a lack of a clear defensive position, and a relatively hefty $5MM salary, it’s not difficult to see why other organizations haven’t jumped at the chance to add Guerrero. Ultimately, it seems that the Dodgers will have little to show for the $28MM they guaranteed him back in October of 2013. The club has also struck out thus far on Erisbel Arruebarrena, a fellow Cuban signed just months later to a $25MM deal. Of course, the Dodgers have been far more successful with several other large international expenditures. 5:47pm: The Blue Jays and Braves have both announced the trade. 4:02pm: The Blue Jays and Braves have agreed to a deal that will send right-hander Jason Grilli from Atlanta to Toronto in exchange for right-hander Sean Ratcliffe, reports Baseball Essential’s Robert Murray (links to Murray on Twitter). Additionally, he tweets that the Jays will pay Grilli the pro-rated portion of the league minimum for the remainder of the season, with the Braves paying the rest of his salary. Grilli has a base salary of $3.5MM, meaning Atlanta will still pay him $2.37MM, while the Jays are now on the hook for $344K plus a $250K buyout on his $3MM club option for the 2017 season. Grilli, 39, is off to a rough start to his 2016 campaign but gives Toronto an experienced arm to add to the back of its bullpen. In 17 innings this year, he’s posted a 5.29 ERA with 23 strikeouts against 13 walks (one intentional). That control (or lack thereof) has been Grilli’s primary undoing, but he enjoyed plenty of success in the Atlanta bullpen as recently as last year, when he logged a 2.94 ERA and 24 saves in 33 2/3 innings before an Achilles injury prematurely ended his season. Grilli’s club option for the 2017 season is for $3MM, so if he’s able to right the ship with the Jays as he nears his 40th birthday, he’ll be an affordable piece for next season. While he’s struggled for much of the 2016 season, Grilli worked to a strong 3.07 ERA with 11.9 K/9, 3.2 BB/9 and 72 saves from 2011-15 with the Pirates, Angels and Braves, so there’s some reason to believe that he could rebound with a change of scenery. Then again, his velocity is down more than two miles per hour from last season, and his ground-ball rate is at an all-time-low 18.9 percent this year — a bad trend to exhibit for any player, let alone one that is moving to the homer-friendly Rogers Centre in Toronto. The prospect price, though, isn’t exactly steep in this deal, and the Jays are taking on a just a small portion of Grilli’s salary, so the risk they’re assuming is rather minimal. The 21-year-old Ratcliffe has yet to climb higher than Low-A ball in his career. Toronto selected him in the 18th round of the 2013 draft, and he’s posted a 4.91 ERA with 6.5 K/9 against 5.3 BB/9 in 62 1/3 professional innings. Baseball America’s Vince Lara-Cinisomo writes that Ratcliffe has a fastball that will touch 93 mph and a “decent” slider with plenty of room for projection as a converted catcher with a 6’4″, 200-pound frame. MAY 31: Ackley will undergo season-ending surgery to repair his shoulder, tweets Feinsand. MAY 30: Yankees utilityman Dustin Ackley has been diagnosed with a torn right shoulder labrum, manager Joe Girardi said today, as Mark Feinsand of the New York Daily News reports on Twitter. A surgical option is on the table, per the report. Ackley, 28, had struggled to a .148/.243/.148 batting line over 70 plate appearances. He had shown promise in a brief run with New York late last year after being acquired from the Mariners, but the former top prospect was limited by a back issue. Originally a second baseman, Ackley has increasingly seen time in the outfield over recent years. For New York, he played mostly in right and at first base, as he’s filled in the gaps that have arisen due to other injuries. A left-handed hitter, Ackley has mostly been utilized against righties; unsurprisingly, he’s been better when hitting with the platoon advantage over his career. The loss of Ackley for what seems to be a lengthy stretch will obviously force a roster realignment. Rob Refsnyder could function in a generally similar role, though he has limited outfield experience, has never played first as a professional, and hits from the right side. Fortunately for New York, the club has plenty of left-handed-hitting options in the outfield. And for now at least, first baseman Mark Teixeira is battling through his own injury difficulties and poor start to the year. Losing Ackley removes a fill-in option there, though it seems that the club feels reasonably comfortable utilizing reserve catcher Austin Romine and third baseman Chase Headley at first to spell Teixeira. Ackley’s injury certainly raises questions about his future with the Yankees. He’s earning $3.2MM this year in his second-to-last run through the arbitration process, and could figure as a non-tender candidate if he can’t return to health and turn around his work at the plate later this season. Marlins reliever Bryan Morris has elected to undergo back surgery, MLB.com’s Joe Frisaro reports on Twitter. The righty could still return later this season, per manager Don Mattingly, though his timeline appears uncertain at present. It’s a significant loss for the Fish, who have received 121 1/3 innings of 2.30 ERA pitching from the 29-year-old since acquiring him back in 2014. While his underlying numbers, including 7.1 K/9 and 3.6 BB/9, didn’t quite support the results, the hard-throwing righty has been a critical piece of the pen. His velocity had been down a tick this year as against recent campaigns, though it still fell within his earlier-career figures. Miami is already without the excellent Carter Capps for the year, which depleted the late-inning mix before the season even got underway. Fortunately for the team, Kyle Barraclough has upped his strikeout rate to offset his sky-high walk rates, while David Phelps has emerged as a force. And closer A.J. Ramos is still humming along nicely, though he too has posted somewhat concerning walk rates. While that group has its share of promise, there’s also quite a bit of uncertainty. If the Marlins can remain in the hunt over the next two months, it wouldn’t be surprising to see the team dabble in the relief market. Click here to read a transcript of today’s live chat, hosted by MLBTR’s Steve Adams.